The prospect of owning a blog is no longer a teenager’s fantasy anymore. Gone are the days when the prospect of owning a blog was just to broadcast one’s personal opinions. Blogs have come a long way from the older days and have matured to a point where blogging and the subsequent revenue generation has become one of the most serious and lucrative income source for people. Who said anything about easy? If anything, given the competition, building a successful blog from scratch to a point where it generates revenue is one of the hardest things. It requires patience, persistence and most of all, it requires good content which people are willing to pay for. Consider the audience of your blog, and what they may find useful. Can you produce content which they can use in their lives which could help them grow personally and professionally? Keep the post short and crisp and not to mention, helpful. Once you have a steady stream of helpful ‘how to’ tutorials, you will see a rise in the number of readers and social media shares. It usually takes a while for the blog to pick up but once your blog starts getting social media mentions, even your older articles will generate a steady stream of traffic from the links. Bonus points to you if you can create content which will get shared on forums. Forums are one of the most traffic intensive places on the internet and if you can create a blog post whose URL gets shared and pinned on a forum, you will receive a steady stream of massive traffic from the forum. A blog post is only as good as its headline. Don’t get me wrong, content is still king but people are in a habit of judging a book by its cover. In the blogging world, it means that you will need catchy headlines to get the user interested enough to click on the topic to read further. A good blog post packaged in a poorly phrased or boring title will seldom generate as many clicks as a well written title. Which is what explains the high prevalence of click-bait titles which fill your screen every morning. Your blog become more powerful if you omit the noise and leave the signal. Do this, and your reader will not only read the post, but will likely stick around long enough to become a long-term reader. If you have any questions or comments please leave below and I will get back to you. Thank you for visiting and please call back again. The first step to finding a profitable niche is to take a notepad and write down as many keywords as you can. As you write, you will figure out what niche suits you best and you can get rid of repetitions in keywords. This will allow you to zero in on the right keywords. Write 6 articles, each reviewing a different affiliate product. This is an incredibly powerful method to get sales, especially for a new site with little to no traffic, this serves as a leg up and gives you the edge compared to your competitors. Let us build our first niche site and see how this works first hand. For this particluar example let us built a photography site. Just to make sure we’re all on the same page, let’s talk real briefly about how we’re actually going to make money through this site. You can build a site around just about any niche. The reason most people fail is because they choose the wrong niche. The whole niche site business model doesn’t work if you still only get a 1% commission off the sale. I generally will not get into any market with less than a 10% affiliate commission unless I have a really good reason. Try to signup for a commissions program which yields at least 30% commission. You generally won’t find commissions this high with physical products, but if you have a few good products that you can recommend with higher commissions, it can help subsidize the rest of the products that may have lower commissions. Are others Making Money from the Niche? Come up with 5-10 keywords that people might search for when looking for your product. Let’s say it’s DSLR cameras, in particular let’s use the Nikon D7200 as our example. I might search for: Nikon D7200 review, Nikon D7200 sale, adorama coupon code (a site that sells the camera), Nikon D7200 vs. D610. So your keyword research is done and you are all set to create your first website. How to create content which converts? We’re going to be doing it the legitimate way, which in turn makes the content on your site a thousand times more important. You don’t want to go crazy with the keyword stuffing, because it might be counterproductive and earn you a ban from Google. Just find a niche keyword and write normally like a human being would, because, believe it or not, it is a human being who is going to read your content. Don’t get too carried away in a bid to please the search engine bots, because it’s not the bots who are going to place orders on your website. If you stuff your articles with too many keywords, you risk making the site look like a spam farm. The best way to bypass the every changing Google ranking algorithms is to create content which people will readily share on their social media accounts. This will give you the network advantage of having your content being broadcast to a wider audience. It also creates possibilities for people on social media to buy your products directly on the platform where your content has been shared. Make sure your content is crafted in a way which leads to a sale. It does not mean writing a sales pitch, but if you tactfully create a ‘how to’ tutorial, for example a ‘how to become a photographer’ post, you have the opportunity to make money from embedding affiliate links of various photography equipment. 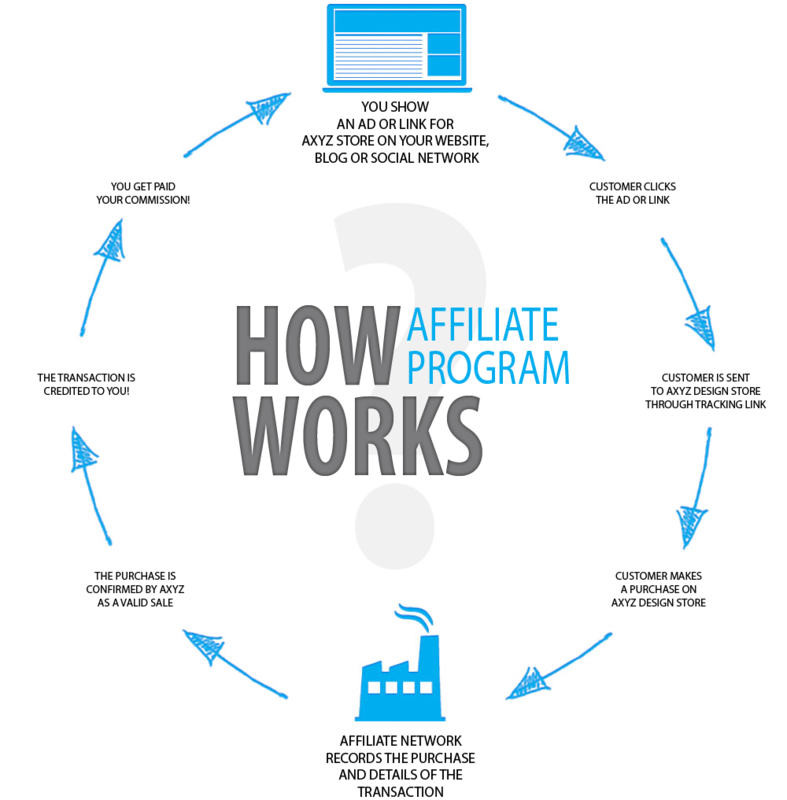 Many affiliate programs offer specialized discount programs for you to be able to offer their product to your readers at alternate prices. This alone serves as a big unique selling point (USP) for a reader to buy it from your website instead of getting it directly from the vendor. Once someone buys the product through your affiliate link, the vendor will credit your affiliate account with the appropriate commission. Title the page “Product Name Discount Code” or some variation, because, often people directly search for coupon codes. Conversion rates on ‘coupon code pages’ is high because there is not a lot of selling you need to do, the reader is already ‘sold’ and is just looking for a discount to immediately buy the product. If you have any questions or comments please leave a comment and I’ll get back to you. Thank you for visiting and you are welcome to return again. How many times have you thought about the idea of building a niche site to generate recurring passive income every month with minimal active efforts? For me, the idea has been at the core of why I wanted to get into the online business sphere. The idea of creating a niche website is one of the most novel ideas to make money on the internet. If you felt that all the available space for generating revenue from the internet has already been monopolized by the Internet giants, you are fortunately wrong. Having a niche website is what levels the playing field between a giant internet corporation corporation with billions of dollars in investments and a single individual trying to make money from the comforts of their home. It is the latter that we are going to explore in this article, since generating revenue from your own product requires thousands of dollars in investment to build the software and falls beyond the scope of a niche affiliate site. We have seen in our previous article how to build a turnkey affiliate website based on WordPress. In this article, we will take a look at how it can be leveraged to generate revenues. Let’s explore each aspect in detail. In order to outwit the competition, you need to find a niche which you can easily dominate, and as the word goes, do not try to find heavy duty keywords, but find long tail keywords which are easy to rank for. There are various free online tools which you can use to find out which niche generates the most revenue for the least competition and start building a site accordingly. Tools such as Google Adwords campaign manager could be used to accomplish this, which brings me to the next point..
You can choose from a range of keyword research tools (Serpstat, wordstream, Wordtracker, SEO book) to pick out profitable keywords to build your niche site. Once you have the keywords, you can signup to affiliate networks such as Amazon, Clickbank, Commission Junction and start picking out relevant product which you can promote as an affiliate. Finding Affiliate Products to Promote. People are most successful at promoting products that they have a passion for. Pick those areas where in which you can perform well and give most of your effort to. Potential customers feel your passion for a product or service can when they read the marketing copy. Tailor your product offerings to things that people who read and enjoy your blog would actually be interested in. 1] Promoting irrelevant affiliate products. 2] Promoting too many products. 3] Promoting products you don’t use. A good marketer knows the pulse of their audience and markets his products accordingly. If the products you are promoting do not belong to your niche and do not appear to your audience or do not present as good value propositions, you are going to see a drop in conversions and subsequent commissions. Let’s face it: you’re not going to get rich on $2 commissions. In order for your marketing efforts to be worthwhile, you need to promote high commission products – that is, products paying out at least $20 per sale. So keep this thing in mind while choosing your products. Too expensive, and they will not convert, too cheap and they will not be enough to break even on your investment. Although it seems lucrative to add as many affiliate links as possible in a bid to maximize profits but this is incredibly counter productive. Firstly, adding too many links to any pages risks the page geting devalued in google search results. Secondly, it distracts the reader from actually getting through to the content and makes the whole page look like a spam farm. Keep the number of links to a minimum to increase conversion rate. The best way to bolster the credibility of the product you are trying to sell is to use the product and present the social proof of what the product has done for your business and how it has helped you grow. Start Creating Content to Promote the Affiliate Products. It’s never possible to know for sure whether people will like your content before you create it, but keyword research sure helps. Firstly, each blog post serves as a defacto landing page for the affiliate product you are promoting and long term addition of content to your blog establishes it as an authority in your niche. Secondly, this is seen by the search engines as a credible way to differentiate good sites from bad. The more content you have, the more organic traffic Google is going to send you and the less you will have to spend out of your own pocket as an advertising budget. This will result in higher net profits for your niche blog. If you have any questions or comments please ask below and I will get back to you. Thank you for visiting and your very welcome to come back any time. There are many ways to make money online, some of them require no material investment at all, some require you to have online assets like a domain and hosting. If you are freelancing, you are basically trading off your services for money and it doesn’t typically require you to have a website but freelancing requires you to commit time and your income will be dependent and proportionate to the time you spend. Unfortunately, this also means that if you stop working, the money stops flowing in, which is a less than ideal outcome for most of us, unless you are Bill Gates. Is there are way to Make Money without being Constantly Online? The short answer is, yes, it is possible to create online assets which allow you to make what is known as passive income (income which does not require your active participation). It requires some initial investment to get it up and running, but once its running, it requires little to no maintainence to keep the money flowing in, apart from the annual hosting renewal fees. Sounds interesting? Let’s see how you can start your own affiliate marketing website using a website and start making money. First, let’s get acquainted with the terminologies which we are going to encounter in our affiliate marketing journey. First things First, what is Affiliate Marketing? Basically, affiliate marketing means you refer a product to one of your readers through a unique hyperlink which has a tracking code. This tracks all sales and tags the respective credit to your name. You can withdraw this credit to your Paypal account after meeting a predefined threshold. This is significantly different from ads where you are paid for the number of visitors or impressions your site generates. Affiliate marketing pays you based on number of referrals. You do not have to invent a product of your own, which saves investment costs. You can simply let the experts create the product and get a hefty cut referring the product to your readers. You can get started with relative ease and earn anywhere and anytime and your income does not depend on the number of hours you spend. Commissions vary across programs, but usually a 30% commission is the norm in the market. Some referral programs even offer recurring monthly payments. 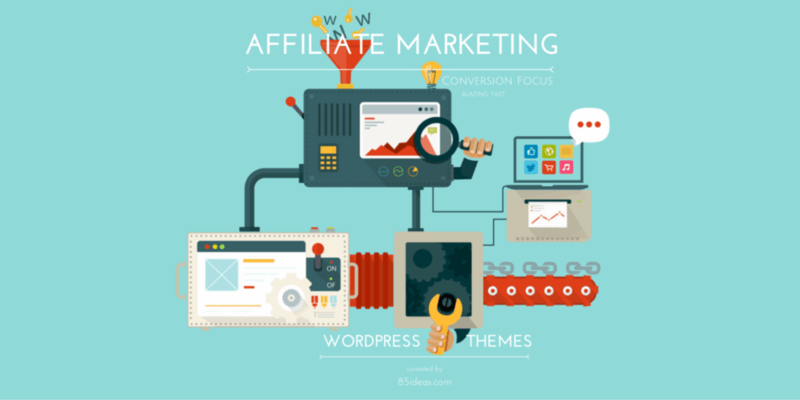 Setting up your First WordPress Affiliate Site. This is not any different from setting up any other wordPress site. You will need to buy a domain and hosting package from a domain registrar and use the one click site builder to install wordpress. Once that is done, you can get started with procuring the content for your site. You can either write the content yourself, or, you can hire a professional write keyword rich articles for you. Now that your site is ready, all you need to do is start embedding your affiliate links into the blog posts and every time your readers click on the link and buy something from the referral site, you will be paid a commission. The objective of a review post is to use the product yourself and create a post detailing your experience with the product. Detailed product reviews written in the first person tend to generate higher conversions owing to the trust they induce in the reader. Try to keep all reviews professional, to the point and honest. If there are some shortcomings in the product you are reviewing, be forthcoming with the information so that the reader can make an informed choice. These type of posts are better than single-product review posts mentioned above simply because you can use the shortcomings of one product as a selling point for another affiliate product with a higher markup. This allows you to offer similar products to your readers at different price points and get the best of both worlds. The aim of writing ‘how to posts’ is to show your readers the different products you use and to enunciate, first hand, how they can utilize the affiliate products to enhance their own business. Often times, seeing someone else use the product builds social proof for the product, at the same time, it shows the reader how the product will add value to their life. These type of compilation posts are used to sell package deals of allied products. If you have a ‘top 10 products which..’ post, it allows the readers to go through the various options available to them. The use of coupons is another way to make a referral commission while offering a great bargain to your readers. Use of discount coupons serves as a motivating factor for readers to buy the affiliate product through your website, as opposed to getting it directly from the vendor. This allows you to make a solid value proposition. Affiliate marketing is a good way to add a passive income stream to your business, however, you will need to have patience as it takes time for your new website to be indexed by the search engine and for the subsequent traffic to start flowing in and referral sales to pick up. It is recommended to have multiple landing pages for each affiliate product you are promoting so that you can optimize each one for the keywords and benefit from the organic search engine traffic. It also allows you to have limited time offer deals and add an element of excitement and scarcity to your affiliate offers, which will definitely result in a spike in your sales. If you have any questions or comments please input below and I will get back to you. Thank you for visiting and your most welcome to return again.